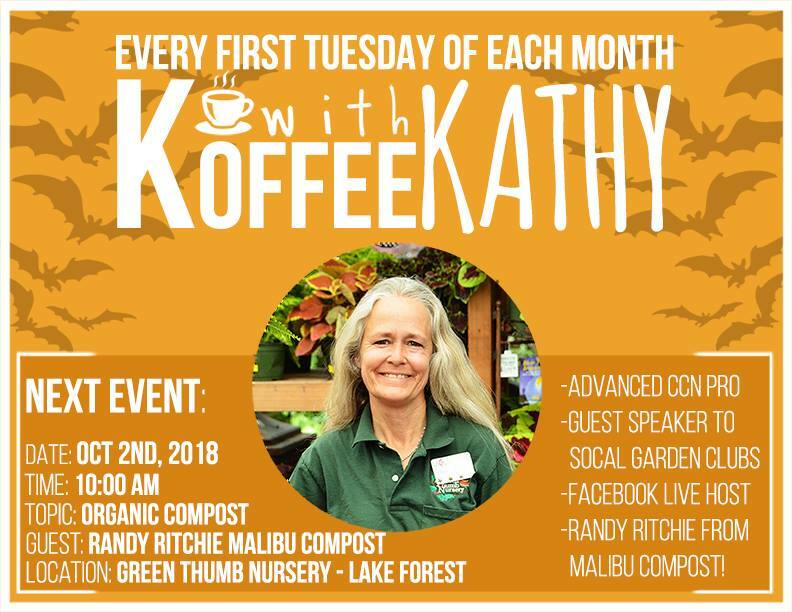 On the first Tuesday of every month, Kathy, one of the Lake Forest store’s highly qualified Green Thumb garden experts, will be sitting down with customers over a cup of Joe to discuss a wide range of garden topics! Bringing topics and questions with you is welcomed! Kathy is having a special guest from Malibu Compost down to talk about organic soils and organic gardening!